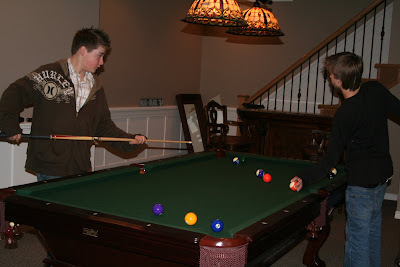 Chad and Drew played pool. Mandi and Clint watched a snow board movie. 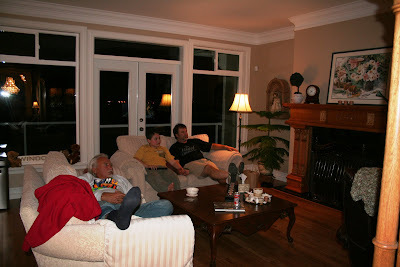 Bups, Jake and Jim watched Reba. 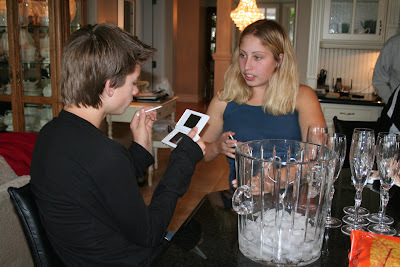 Mandi and Drew played DS. Max and Zac went for a walk. Mom, Jul, Daryl and I played Yahtzee. And then, Jul and I cleaned the kitchen because she can't sleep knowing there are dirty dishes somewhere.